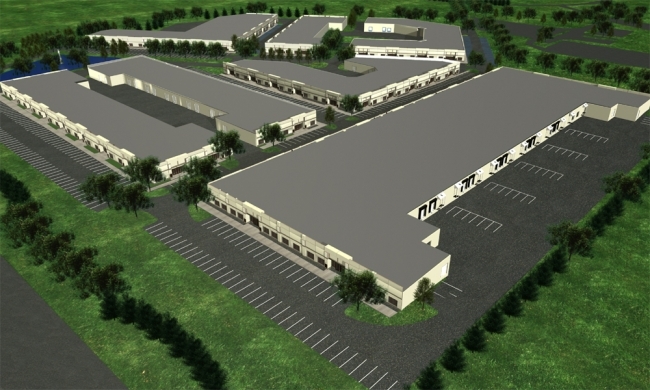 Green Meadows Commerce Center is a planned development of seven flex office buildings totaling 471,866 sq. ft. designed to maintain 25% green space. The multi-tenant buildings were designed for 40% office space and 60% warehouse having individual truck docking capability and associate parking. The exterior wall system on Buildings 1 - 6 is concrete panel with storefront metal framing of bronze low e tinted glazing.